In the previous post in this blog I mentioned that the next release of Cinux will be called Prime Cinux, or Cinux 2.0 (Prime) after it's release. I managed to get some screenshots from the liveCD of build 0.1.8.313, built yesterday, April 4, 2012. At the moment, it doesn't have a GUI (graphical user interface), which means it only runs as a terminal based system. This happened because I built it completely from scratch and is not based on Cinux 1.7 (Pandora). Cinux 1.7 was based on Cinux 1.5 (Blue) and that one was based on Cinux 1.4 (Canny Laura), which was also built from scratch (according to LFS 6.8). The reason I'm building Prime Cinux from scratch is because I wanted to "clean" it from unwanted things/software/files and also because I intend to make it into two versions. A minimal one, without a GUI and one with a GUI. The GUI Prime Cinux will adopt is probably going to be the Mate desktop environment, again fully customized in order for it to meet the CGI's (Cinux Graphical Interface) standards. Cinux Play, still in private Beta, will also be rebuilt to meet the standards of 0.1.8.306-406 Cinux Core. One thing that is being altered in Prime Cinux is the package manager. Even though Cinux-Get v0.1 made a very strong concept of a lightweight package manager, I decided to take a step forward and make it even more light while adapting a whole new concept of package retrieving, installing, uninstalling and updating packages on your current Cinux installation. How would I do that? I am programming it from scratch with Bash. Maybe, at some points, Python will still be used. The concept of the new version of Cinux-Get won't yet be explained but, in a future post. Also, for the first time, the liveCD of Prime Cinux, remaining under 300MB at this point, will support an unprivileged account along with the root account. 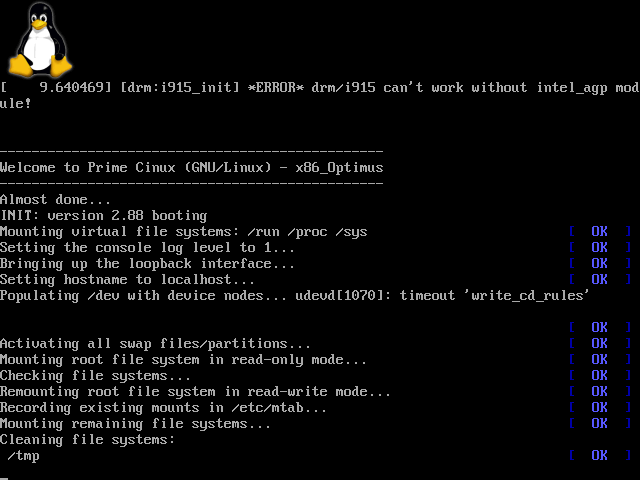 Finally, the previous kernel Cinux was based on has been dropped, adapting the Optimus Linux Kernel. Bellow you can see the screenshots.